In my early visits to the beautiful Sub-Saharan nation of Namibia years ago, I once lamented the lack of quality barista made coffee. 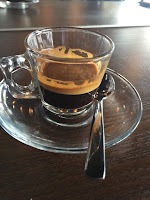 You may think (rightly) that I'm being precious, but Australian café culture leads the world in the prowess of our almost ubiquitous baristas and the quality of the coffees they produce, so going cold turkey on readily available good coffee - especially a well-made espresso, where mistakes cannot be covered with loads of frothy milk - is painful. 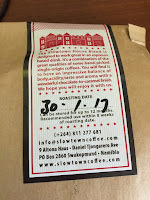 Slowtown Coffee Roasters is an artisanal coffee roasting outfit based in Namibia's second largest city of Swakopmund. They have also opened a Windhoek outpost; a modern café sporting Nordic-style furniture, mirrors and clean lines at the edge of the CBD on Independence Avenue, just across the street from the Wecke & Voigts department store. And most importantly, real baristas can be found behind the coffee machine, complete with hipster-ish regalia! 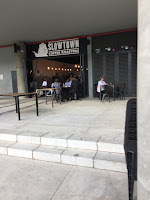 One can order their freshly roasted Slowtown blend, or a single origin roast, to enjoy on the premises or as takeaway. 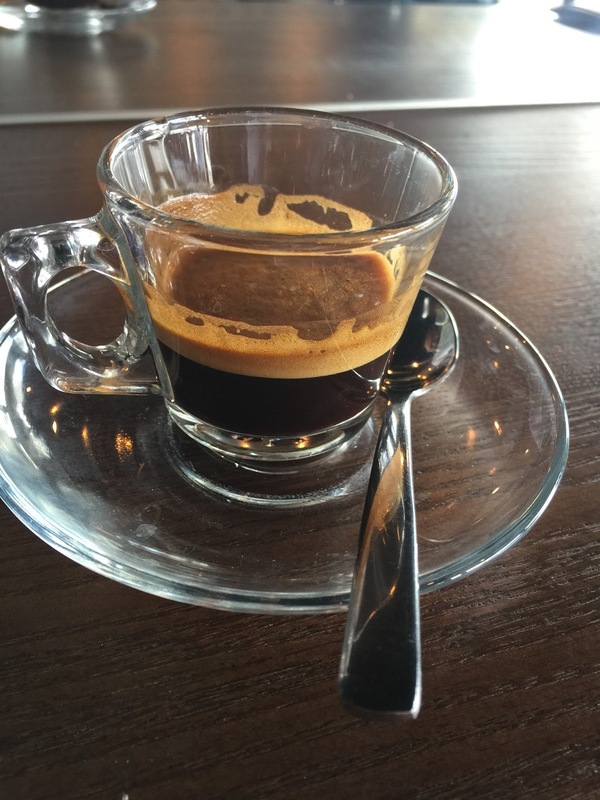 The coffees are very competitively priced by international standards (starting at NAD10 for a single espresso), and great value for the quality that you get. 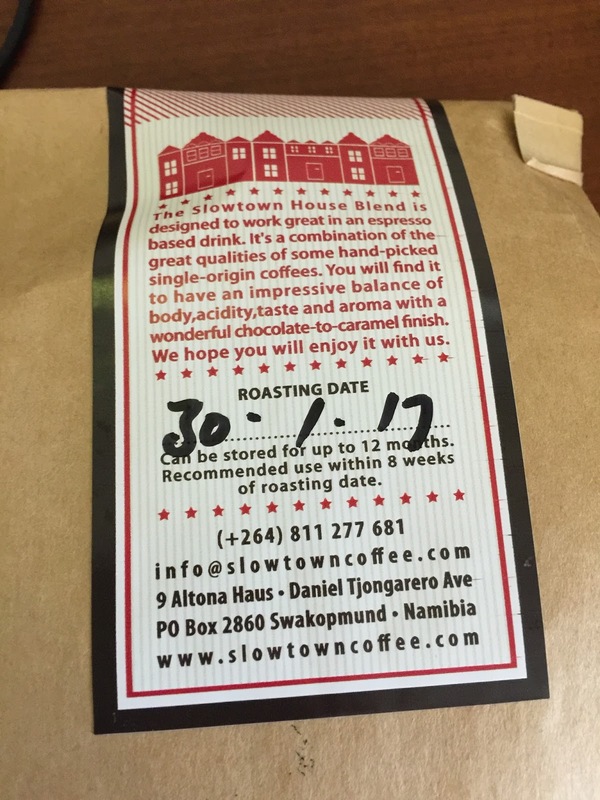 You can also buy bags of coffee beans, and this is where the attention to quality really shows through – instead of a use-by date, these bags show the roasting date; anyone who is serious about their coffee knows that this is an important factor in determining the freshness and quality of coffee beans. 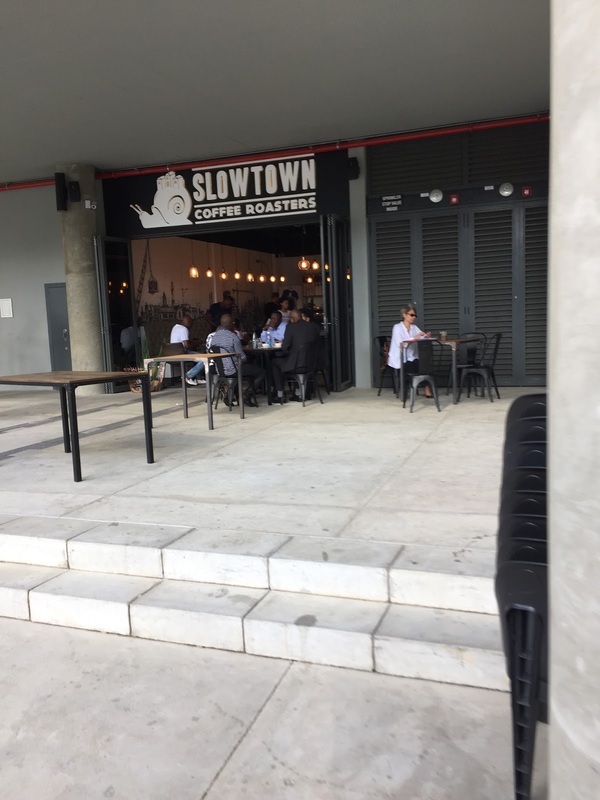 While Ristretto Coffee Roasters in my hometown will always be number one in my books, Slowtown is my go-to place for a good coffee whenever I’m in Namibia. I agree with you completely and love this idea. It's really unfair if people bad mouth a good restaurant based on just one bad incident.